America brings in lots of cars and auto parts from Mexico. It's by far the No. 1 good shipped north of the border. If you take away those shipments, President-elect Donald Trump's dream would come true: The U.S. wouldn't have a trade deficit with Mexico. The U.S. imported $78 billion of cars and auto parts in 2015 from Mexico. America's overall trade deficit with the country that year was $58 billion. So, if all things remain the same and car imports are taken away, the trade deficit with Mexico would disappear. 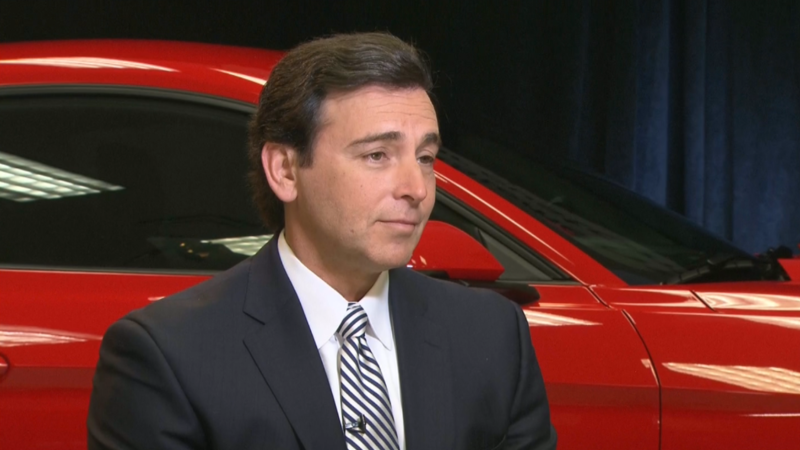 "Cars are by far the largest export from Mexico to the U.S. -- without them, the [Mexican] trade surplus with the U.S. vanishes," says Neil Shearing, chief emerging markets economist at Capital Economics, a research firm. Indeed, cars beat the next top four import categories -- electronic parts, food, computers and TVs -- by a mile. Even if you add the value of those four categories together, they still fall short of the value of all the cars brought across the border, according to figures compiled by Capital Economics. Their value would total a little over $71 billion. No wonder, Donald Trump has targeted automakers. "If you're going to make a fuss about something, you want to make a fuss about something that's going to make a difference," says Chris Rogers, research analyst at Panjiva, a global trade research firm. Trump has warned that car companies like Toyota (TM) and GM (GM) will face a "big border tax" if they don't move jobs and production back to the U.S. from Mexico. During his campaign, Trump often compared America's trade deficit to a company losing money. "We're losing a tremendous amount of money, according to many stats, $800 billion a year on trade," Trump told the New York Times during his campaign. Some experts disagree with Trump's portrayal of the U.S. trade deficit in goods. "A nation's trade balance is nothing like a firm's bottom line," Douglas Irwin, a trade expert at Dartmouth and former Reagan administration official, wrote in Foreign Affairs magazine. "Whereas a company cannot lose money indefinitely, a country...can run a trade deficit indefinitely without compromising its well-being." Irwin points out that Australia has had a trade deficit for decades and it hasn't had an economic recession for about 25 years. Conversely, Japan often runs a trade surplus and its economy has stagnated for decades. 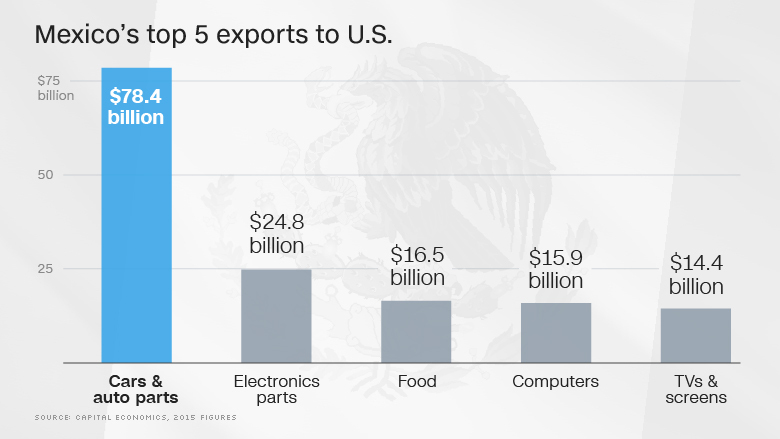 So, would eliminating the trade deficit with Mexico be good for the U.S. economy? In short term, possibly yes. In the long term, very likely no. That's based on a new report released by Morgan Stanley (MS)'s economics team. They estimated that if Trump uses tariffs of 20% or 45%, U.S. economic growth would get a boost in the first year. That's because in the economic model for growth, the trade deficit weighs down growth. A narrower deficit would spark short-term growth. But then the pain would come. Morgan Stanley's economists forecast U.S. economic growth slumping long-term if the trade barriers remain as U.S. exporters would lose out, consumer prices would rise and businesses would cut back investments.